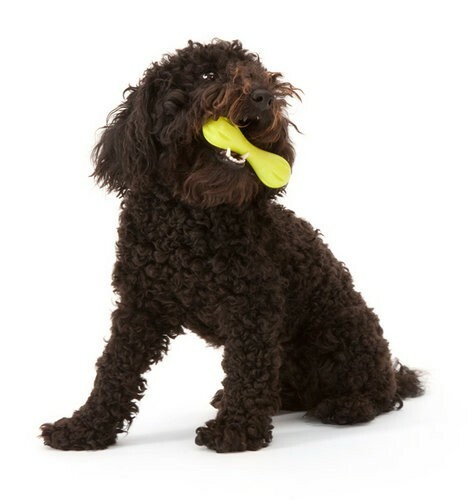 Hurley® is a durable dog toy, made in the USA, that’s shaped like a bone and meant for chewers. Hurley is guaranteed against dog damage. West Paw Design makes it easy to give this durable dog toy a try with a one-time refund or replacement. Made from our extremely pliable, one-of-a-kind Zogoflex® material, Hurley's success led us to create an entire family of Zogoflex dog toys that includes fun, interactive shapes. 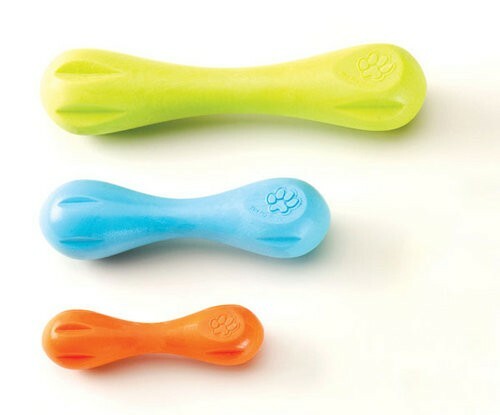 Hurley is 100% recyclable and is a buoyant, made in the USA, BPA and phthalate-free, non-toxic and dishwasher safe toy. Available in mini, small and large sizes.